This was to be the first of three visits to walk the coast path of Anglesey. A total of around 132 miles all to be led by Terry. Our first day, Tuesday, was to be a half day walk in the afternoon. We decided that driving up to Anglesey then walking for 5 miles was too much in a day, so we decided to go on Monday. 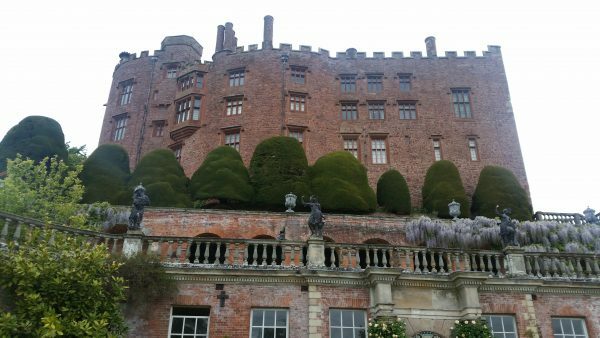 On the way we visited Powis Castle. We then drove to Llandudno and stayed the night at the Hydro Hotel where we are booked to stay in October next year.